Almost anyone can start a craft business but unfortunately, not all craft businesses make money. In this article, I’m going to share the most common crafts that make money. When I say “make money” I don’t just mean being able to sell what you make but rather being able to make a profit with each sale. There is a big difference. There are many costs handmade business owners sweep aside, hoping everything will even out. I didn’t account for most of my expenses when I made a sale. But when a storeowner inquired about carrying my bags and I crunched the numbers, I realized I was barely profiting as is, let alone selling at wholesale prices. I also didn’t strategically plan my products or follow a product launch schedule in the beginning. I would dream up an idea, run to the fabric store to buy materials (without planning out the most cost-effective way to make an item or calculating the costs per product), make as many bags as I could out of the materials I purchased and hope they would sell. 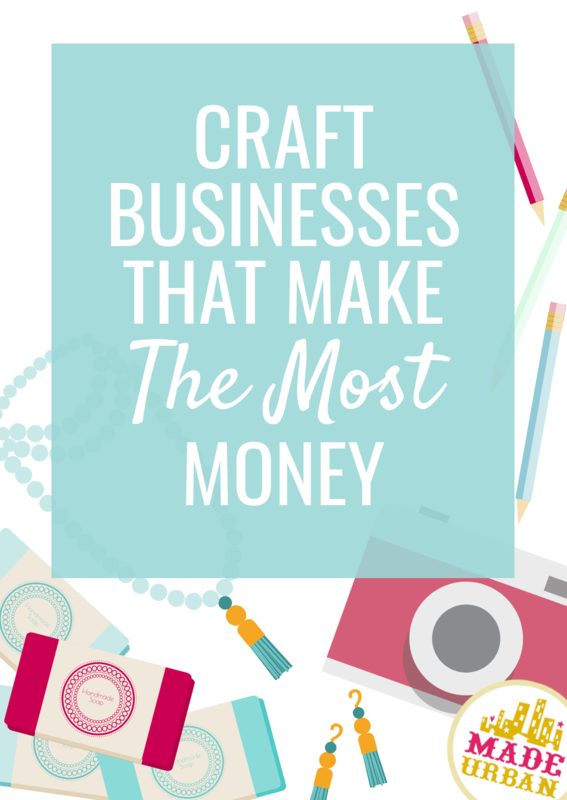 Crafts listed in this article aren’t guaranteed to make money but craft businesses that incorporate these three elements will likely have an easier time making money. Crafts that make money have profits. But it’s shocking how many creators don’t account for and cover ALL expenses. How much it costs to make your products and run your business will dictate how much you charge for your crafts because you must be building a healthy profit into your prices…otherwise, you have more of a hobby than a business (hobbies are still required to file taxes). If costs are high, product prices must cover them and craft businesses can end up pricing themselves out of the market or spending more than they make. At the end of the month, if the money spent on your business is more than money made from selling your crafts, your craft business doesn’t make money. Therefore, the odds of making money are higher for craft businesses with low costs or costs that don’t eat up profits (you can have costs of $1/product but if the market only allows you to charge $2 for your product, those costs are low but still eating into profits). When working with items such as beads, threads, wire, leather, etc. material costs can be kept fairly low. Getting into high-end silver and gold can increase your costs but most consumers understand the value of 24 karat gold or sterling silver and are willing to pay more for the better quality. Some jewelry making techniques can drive labor costs up, so it’s important to hone your skills, find processes that speed up production and not spend too much time in a month coming up with new designs that require a learning curve. Art supplies aren’t cheap and creating a painting isn’t typically a quick process, so if you make and sell original art, you may not be able to make a lot of money unless you build a name for yourself and can charge a premium price. However, if you make an original piece of art and then transfer it to other mediums, one piece of art can be sold over and over. Prints, digital copies or art applied to merchandise (e.g. mugs, t-shirts, etc.) can have lower costs and higher profits. The startup costs may be high but once you have a good quality camera and accessories, it’s simply your time to take the photos, edit, have them printed and sell them as pieces of art. If your craft involves developing the film or only being able to sell copies once (e.g. to a bride who hired you for their wedding), costs will be higher as more of your time is involved and there is more equipment required for a darkroom and developing supplies. Making soap may not be as profitable in the beginning but mastering processes, reducing labor time, and buying ingredients in large quantities at wholesale prices, reduces costs per bar. Most soap businesses drive profits through volume so for a soap making business to be profitable selling $6 bars of soap, they must sell several bars per month. Craft shows are a great platform for selling high volumes as craft show shoppers are usually very comfortable spending around the five-dollar mark. Wholesale is another great sales channel for soap makers because one retailer can place an order for several bars of soap each month. Retailers will look for a unique product and great branding. Many crafts can be made through sewing and some of those crafts can make money. It’s dependent on the type of material used and how many items are cut out of a meter of fabric. In most cases, you can’t purchase fabric for less than $5/meter so if you can create two or more products from one meter and very few notions, your costs could be low. You also must factor how many steps are required to sew pieces together. Several pieces often means more time cutting, lining up, pinning, sewing, ironing, etc. and will raise labor costs. There are certain sewn items that are on the CRAFT BUSINESSES THAT MAKE THE LEAST MONEY list, so not all sewn crafts make money. Supplies to make candles are fairly low cost, as are your overhead costs, because you don’t require a big studio or high-priced equipment. So candle-making can be a craft that makes money. Once you melt your wax and mix ingredients, you can quickly pour the wax into several containers with wicks so labor time can be kept low for each candle. Containers can be an important aspect of a candle and its price so put the time into sourcing jars from a wholesaler to get your costs low. Crafts that make money can also be successful because of the industry they fall under and the constant demand for their products. Here are some of the more popular industries that produce crafts that make money. If you can follow rule #1 and keep your costs low and profits high, you may be able to produce crafts that make money under the wedding category. Globally, the general apparel market is valued over 3 trillion dollars, with womenswear being the most popular (source). If you can find a way to keep your costs low and sew tops, bottoms, outerwear, etc. there is certainly a demand for them. With a growing interest in home décor, the home décor industry is estimated to grow to $664 billion by 2020 (source). You can’t just start making any of these products and expect to make money. You must come up with a unique idea for your art, candles, jewelry, photography, sewing or soap and make it great. Crafts that make money target a specific customer and their specific wants or needs. It may solve a problem, like the $55 water bottle mentioned in this article or feel like it was made to be a perfect fit for their: style, body, personality, humor, etc. You must know who you’re selling to, what their problems or desires are and create a product for them. If you offer something that’s in demand and isn’t easily found, you’re more likely to have a craft that makes money. If I come across gold hoop earrings, a red knitted scarf or a bar of soap at a craft show, I don’t feel compelled to purchase if the vendor or product doesn’t offer something different from what I can find in any mall or through a quick search online. But not being able to find a product like yours anywhere does not necessarily equal sales, nor should it always be viewed as a positive. Being unique and being unique and in-demand are two different things and mean the world of difference when it comes to sales. Inventing a “yoga mat that never has to be cleaned because it wicks away moisture & sweat and naturally deodorizes and sanitizes itself” is a unique product you “can’t find everywhere (or maybe even anywhere? )” and would likely be in high demand. Creating necklace pendants out of Barbie parts may be unique but not likely in high demand. Don’t mistake “no one else is selling it” as a good thing, as mentioned in 3 MISTAKES HANDMADE BUSINESSES MAKE WITH THEIR USP (unique selling position). And don’t assume your USP has to come from your products. There are several other aspects of your business you can play with to stand out…especially if you’re offering a product that doesn’t have a lot of wiggle room (how many different ways are there to make a scarf?). 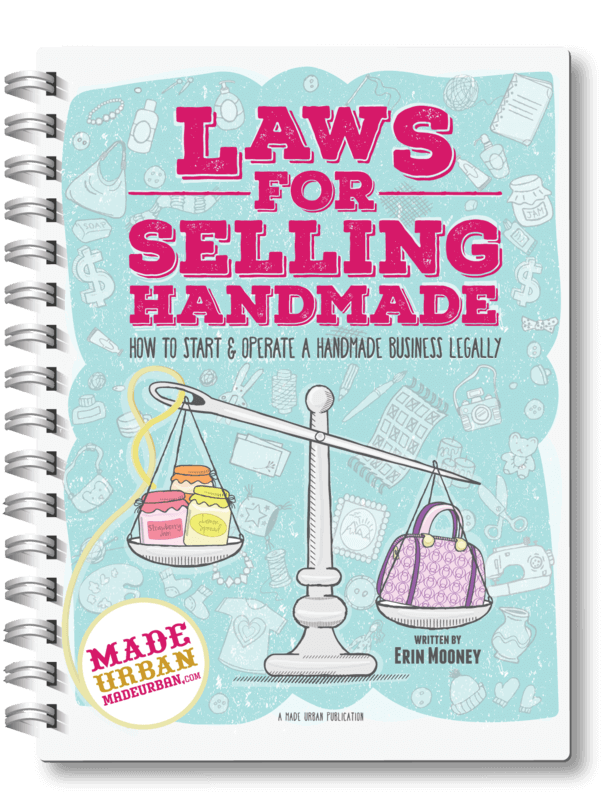 HOW TO SELL HANDMADE BEYOND FRIENDS & FAMILY explains, in detail, how to define your USP and the FREE email challenge BEAT LAST YEAR’S SALES has some key lessons on perfecting your USP as well. Think about what’s going to make your products or business different and if that element is important enough to consumers that they’ll choose you over a competitor. We feel good about purchases when it seems as though we’ve received more value than we paid for. If we feel we were tricked into buying something we don’t need/want, purchased something that falls apart once we get it home or spent more than we feel it’s worth, we won’t buy from the business again. And repeat business is an essential part of sales and success. Value comes through in everything we do, so make sure it’s not just your products that are great, but everything that surrounds them as well. Most homeowners policies don’t allow for candlemaking at home. You can find insurance for candlers but it’s not cheap! Anyone making anything flammable should have liability insurance at a minimum.